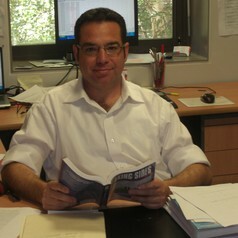 Dr Esposto is an economist and linguist and is Senior Lecturer in Economics at Swinburne University. His research interests are in the areas of Labour Economics, and Economic Development, where he specialises in employability skills and comparative institutional performance. Alexis is currently focusing much of his research on Latin America, where he is conducting research in institutional theory, labour economics and international trade as part of a project with Universidad Nacional del Sur, in Bahia Blanca, Argentina. He is currently investigating trade flows between Australia and Latin America. Dr Esposto has published books in Labour Economics and Neo-Institutional Theory. He has authored and co-authored many journal articles in labour economics, academic teaching methodology and neo-institutional theory. Alexis is fluent in 5 European languages.